Over the last ­fortnight, many of us will have been enjoying the ­familiar ­delights of the school ­Nativity play, sharing the excitement that a new generation of children ­always brings to it. Their costumes may be fashioned from blankets, tea-­towels and old dressing-gown cords but you can see from their rapt expressions that the Christmas Story has lost none of its power and magic. With Mother and the Christ Child holding centre stage, the final tableau, helped perhaps by a bit of prompting from ­parents and teachers, slowly assembles. On come the shepherds, ­earnestly clutching their crooks and toy lambs, closely followed by the three Wise Men, a riot of colour and gold gift-wrap. It’s such a familiar and enduring image that most of us can conjure it from memory in a moment. But it’s an image that I believe runs the real risk of overlooking the most important character of all, an ­individual whose vital role in shaping the Christian message is downplayed and yet whose story couldn’t be more important, or more significant, in today’s society. You’ll normally find him in the second row, slightly hidden by Mary or a particularly large King, maybe fiddling with his false beard or tugging nervously with his head-dress. His name, of course, is Joseph, a vital character of any Nativity story you would think. But ask yourself one thing. In all ­honesty, whoever remembers who played Joseph? Joseph’s extraordinary contribution to the Nativity story and to Christianity itself has been underplayed for centuries but it is my hope that it will be overlooked no longer, for his importance hinges on the critical decision he took, which holds such a powerful message for our own time. To understand this, consider how Joseph responds to news that Mary was with child, an extraordinary event that Matthew’s Gospel rather rushes through, almost dismissively. Think about what that actually means. 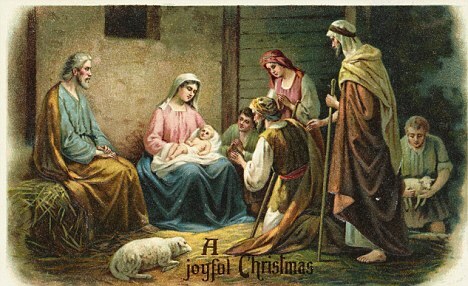 Mary and Joseph may have become engaged but she has let him know that not only is she pregnant but he is not the father. 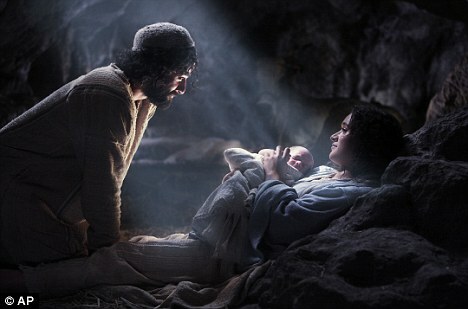 And there’s worse — or certainly more improbable — news to come for Joseph, with Mary insisting that she is still a virgin and that her unborn child is the Son of God. Even today that would be nigh-on impossible to swallow but back then, for Mary and Joseph, living in a traditional Jewish society, announcing you were pregnant with the Son of God would have been the most serious blasphemy. Mary could have been stoned to death. Joseph’s mind must have been in turmoil. The initial sense of shock would have been palpable, followed, surely, by an overwhelming sense of betrayal. The woman he loved was pregnant and yet he was not the father. Matthew’s ­Gospel touches on what his ­initial reaction must have been. In other words, he would have cancelled the betrothal and in such a way that Mary might hide from her shame. And who could have blamed him — the woman he loved, having betrayed him, had also taken leave of her senses. I’m quite sure that many of us today, if confronted with a similar story, wouldn’t have believed a word of it. Strangely, the Bible solves this problem in a rather ­matter-of-fact manner, with the Angel of the Lord conveniently appearing to Joseph in a dream and telling him that Mary was telling the truth. ‘Fear not to take unto thee Mary thy wife, for that which is conceived of her is of the Holy Ghost.’ In other words, according to the Bible, Joseph woke up and promptly married her. But even if Joseph believed the dream entirely, I don’t think this does justice to the enormity of the decision confronting Joseph when he awoke that morning. It conveniently forgets that notwithstanding the vision, he still had his free will, one that had been forged from the social and religious norms of the day. Running through his head must have been some enormous concerns: there was still the problem of her pregnancy out of wedlock, the social stigma — for him as well as her — and the anger of friends and neighbours about her blasphemy. No, it must have been a truly daunting prospect, one he could easily have chosen to walk away from, and left her to her fate. After all, he was a respected man in his community, descended as he was from King David — he had much to lose. And yet he didn’t disown her. 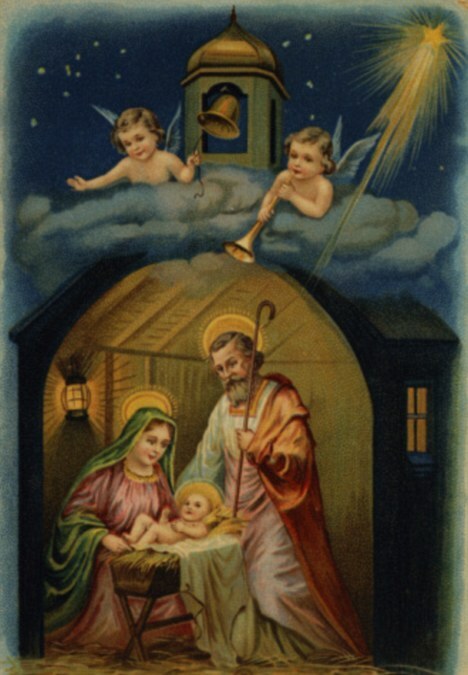 Despite the huge social pressure he was facing and despite the potentially dangerous consequences, Joseph took the decision to stand by Mary, to marry her, protect her and raise the child as his own. I like to think he took this decision not just because of a vision in some night-time dream but because he loved her and wanted to keep her safe. Certainly, if he hadn’t, the consequences for her could have been dire. A pregnancy out of wedlock would have made her an outcast, a pariah; but giving birth to a baby she called the Son of God could have got her killed. That’s why Joseph’s role is so important; without his support, neither Mary nor Jesus might have survived at all. Thanks to Joseph, however, they did survive. This quiet and skilled man bravely stepped out into the unknown — deliberately choosing to protect, provide for and raise Jesus as his own. He mentored him and taught him and even gave him the trade — carpentry — that Jesus would use until the time came for him to embark on his ministry. 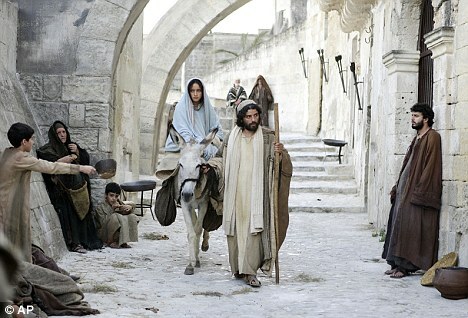 Joseph must have given Jesus so much as a father and Jesus must, in turn, have learned so much about life from Joseph. Later, during his ministry, when Jesus spoke of God as being like a loving father, surely he must have been drawing from his own upbringing, drawing on his intimate knowledge of this extraordinarily good man, Joseph. I am not a churchman and I am not given to commenting on Christian theology — rather I raise all this partly because I have long wondered why Joseph seems to have been so forgotten and partly because it has a very clear message for our own time. But we seem to have forgotten that or wrongly come to the conclusion that we can somehow get by without it. The result is that in too many communities, there are deep-rooted problems now shared by ­generations of young people that stem — directly or indirectly — from the absence of fathers in the vital early years. I have seen how family breakdown, which often begins with fatherlessness, can lead to high levels of truancy, anti-social behaviour, youth crime, street gangs and teenage pregnancy. But Joseph was not an absent father; he was there, with Mary and with Jesus; and the Christian Church, by underplaying the importance of this in the story of Christ, has missed a real example of selfless dedication and commitment which should resound today. Whether it was battling for accommodation for his pregnant and exhausted wife in a crowded town or protecting his family as they fled from ­Herod’s soldiers, this simple man of courage and honour was always there when his wife and son needed him. For some children, we might reasonably ask: where are the men of such courage and ­honour today? So this Christmas, when you encounter that familiar Nativity tableau, try to look past Mary, the crib and even the Baby Jesus. Seek out that ordinary-looking face in the second row, almost lost behind the shepherds and wise men, and look into the eyes of the forgotten hero in the story of Christ; then smile and give thanks for Joseph. This entry was posted on Wednesday, December 22nd, 2010 at 6:32 am	and is filed under Uncategorized. You can follow any responses to this entry through the RSS 2.0 feed. You can leave a response, or trackback from your own site.